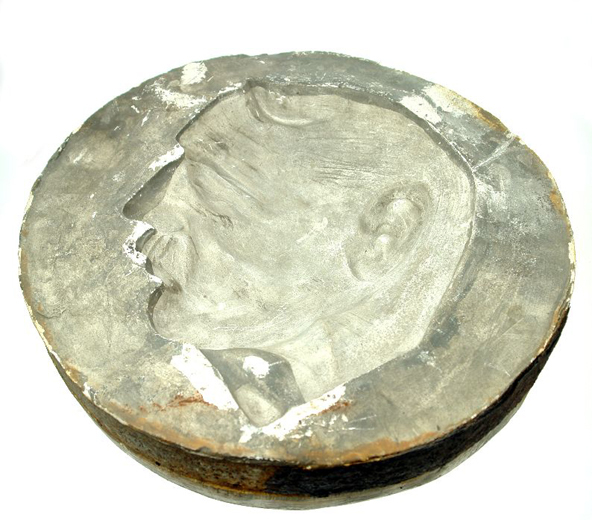 Mould for a plaque showing the head of Neville Chanberlain, Prine Minister from 1937-40, collected from Clokie and Co. Ltd. after the pottery closed in 1961. There is also a plaque made from this mould in the museum collections. pottery: Clokie and Co. Ltd.